If you think you've missed your shot at the competitive world of a cappella music, think again! 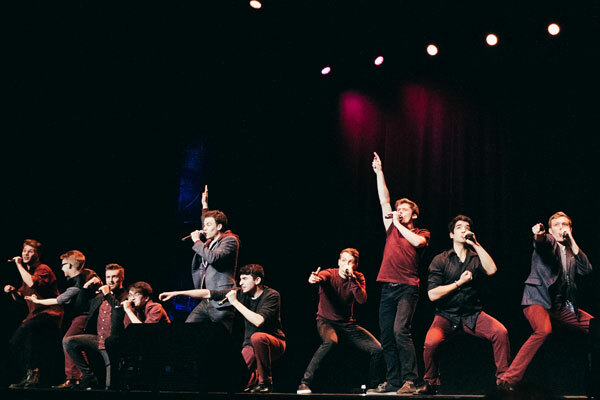 Varsity Vocals, the organization behind the BIGGEST event in college and high school a cappella, the ICCAs (International Championship of Collegiate A Cappella) has just announced a new event that will give singers everywhere a chance to live out their "Pitch Perfect" fantasies. A new competitive format titled the International Championship of A Cappella Open will bring together groups of all walks of life for the chance at a cash prize of $25,000. The very first season is slated for September 2017. With the massive success of movies such as "Pitch Perfect" and groups like that of "Pentatonix" and "Straight No Chaser" a cappella fans both young and old have truly been inspired to explore the art form captivating audiences around the world. This event will give newcomers who are interested in trying out the musical genre firsthand, along with alumni of past groups, current students not in groups and every other individual a chance at competing with their very own "a cappella dream team." The major difference between the ICCAs and this event is that there are no eligibility requirements in order to compete. If you can sing, they'll want you. So grab your body from the office, or your workout partner from the gym and start warming up those vocal chords.